I started reading up on how citrus fruits can be effective in so many ways, so I decided to test those theories out, these are the ones I have found most effect and have made a difference to my life. So here is how they can hopefully make a difference to yours too! Starting off your day with a Hot Lemon drink will help to stimulate your digestive track and is full of vitamin C, not only that, it will help brighten rather than stain your teeth! That's correct! And not only does it has anti-inflammatory effects it has anaesthetic purposes too, this makes it great for any skin irritations or bites and reduces redness in the skin. - Lemon helps when sick! Not only does Lemon help nausea, but it's great anti-inflammatory effects help with sore throats, colds and brings down a fever quicker. 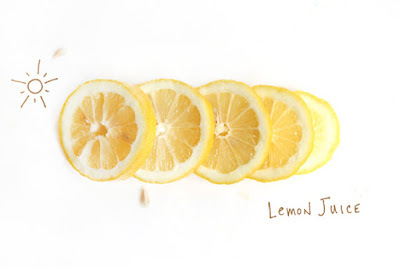 This is one of my favourite Lemon beauty hacks. Mix Lemon Juice with some sugar and apply onto your face, gentle scrub in circular motions then remove with a warm flannel or cotton wool. This will help to brighten, exfoliate, soften and will reduce/prevent acne. Do this once a week. As seen in my latest post, you can mix Lemon with Baking Soda and use it to reduce and prevent stains on the teeth. I usually do this twice a week and always since with water after. 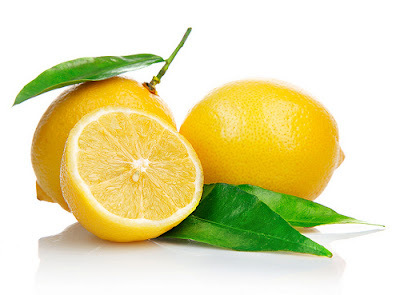 For those who don't want to use bleach or high peroxide on the hair, Lemon can be used to natural lighten the hair, it's not a really fast process, but you will see results over time. It also helps eliminate brassy tones and brings on glowing highlights in blondes. Mixing Lemon Juice with Olive Oil will help to brighten and strengthen nails, helping to prevent breakage and remove stains from smoking or strong nail polish. Lemon can be used in many ways when it comes to cleaning, you can use it to remove food stains or grease. Also add Lemon Juice with a bit of hot water and soaking your white clothes in it, will help to brighten and remove small stains. Using Hot Lemon water to clean your floors will repel roaches and fleas, this is great in the summer when you want to leave the doors open. You can also put lemon slices by doors and this will help prevent ants walking in! Boil Hot Lemon Juice with a touch of water and let the brushes sit for 15 minutes, then rinse with soapy water. This will help to cleanse and soften the brushes. I never knew Lemons could be used in so many different ways, but they are definetly a great life hack and can save a lot of money!